JAS-ANZ accredits 72 CABs who in turn certify some 60,000 organisations. Including accreditations and technical assistance projects JAS-ANZ provides services in over 20 countries. 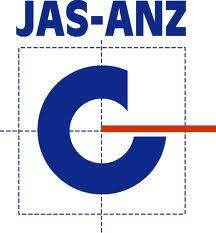 JAS-ANZ is a not for profit, self funding international organisation. It is non-discriminatory, in that it will accept applications from conformity assessment bodies operating anywhere in the world. Accreditation programmes are accessible to all conformity assessment bodies, irrespective of size, location or affiliations, whose operations include activities for which accreditation programmes are currently available. JAS-ANZ operations are overseen by a Governing Board. The Technical Advisory Council and the Accreditation Review Board allow JAS-ANZ to bring technical expertise and stakeholder involvement to the development of accreditation programmes and the accreditation decision respectively. The JAS-ANZ Secretariat, located in Canberra, Australia, and Wellington, New Zealand, is the administrative arm of the Board. The Secretariat is responsible for administering the accreditation process, coordinating the technical committees associated with the accreditation programmes, providing input into national and international committees and working groups, and the development of new accreditation programmes. JAS-ANZ operations are overseen by a governing board comprising of ten members, six of whom are appointed by the Australian Government, and three by the New Zealand Government. The Chief Executive of JAS-ANZ is the tenth member. The JAS-ANZ symbol is used by accredited conformity assessment bodies to indicate to prospective purchasers of their services that they meet the requirements of a national accreditation body. The symbol is also used by organisations to further emphasise that their products, processes or services awarded an endorsed certificate have been provided by a body accredited by a peak national accreditation body.